Pastor James McConnell has claimed that his prosecution over a highly-controversial anti-Islamic sermon offers a chance to display “true Protestantism”. The evangelical founder of Whitewell Metropolitan Tabernacle said he is not nervous about the trial, which begins on Monday in Belfast, and that he is ready to go to jail if needs be – citing the examples of writer John Bunyan and Ian Paisley. 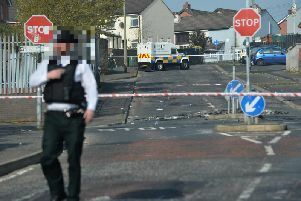 However, he told the News Letter he does not believe he will end up in prison, because this risks causing an “outcry”. He said he was “burdened for the nation”, saying there are “sinister powers at work in this country trying to quell Christianity – trying to quell the evangelical message”. He added: “It’s up to us as evangelicals not to give in. To fight hard, even though we go to prison, come out again, and do the same thing again – as John Bunyan did. “They put him in prison. And he came out and preached the same message. They stuck him back in again. “And I think that’s how we got religious freedom in the UK – through men like Bunyan and all great servants of God who were burnt at the stake. John Bunyan was a 17th century Protestant evangelist in England, who wrote the book Pilgrim’s Progress and was jailed for his religious activities. Pastor McConnell added: “I know I’m sounding like your man [Donald] Trump at the minute but this political correctness, we have to be careful what we say. Pastor McConnell said among the others who he expects to turn out in support are DUP MP Sammy Wilson (who he said had been a member of Whitewell for over 30 years) and an imam – a Muslim cleric – from London. He said that even the Catholic priest “tomorrow will be a Protestant!”. He said he would miss his family in the event that he is given a prison term (which, it is understood, could be up to six months if he is found guilty), but would read and write “then come out and tell all what happened”. He was questioned about why he believes a prison term is such an unlikely outcome, and said: “Because if I go to jail there’ll be such an outcry in this country. It will rock this country if I go to jail. This has not just become local in Ulster – this is worldwide. Originally from the Woodstock district of east Belfast, Pastor McConnell’s mother died when he was eight. His father and sister both died of tuberculosis. He said his grandparents found him “difficult to control”, and he “roamed the streets” and slept in places like Ormeau Park. His congregation began in 1957 with 10 people, he said. Today, the Whitewell tabernacle in north Belfast has thousands of members. He retired last year. He has been charged under the 2003 Communications Act with improper use of a public electronic communications network, and causing a grossly offensive message to be sent by means of a public electronic communications network. He had previously refused an informed warning (a kind of reprimand issued by police). It is understood he could face up to six months in jail if found guilty. He also described Enoch Powell – the British politician famous for his ‘rivers of blood’ speech warning of the dangers of immigration – as “a prophet”. The trial in Belfast’s Magistrates’ Court, is expected to begin at 10.30am, and to continue for a number of days.